Kids Playhouse Tent Just $35.92! Down From $100! PLUS FREE Shipping! You are here: Home / Great Deals / Amazon Deals / Kids Playhouse Tent Just $35.92! Down From $100! PLUS FREE Shipping! Hurry over to Amazon where you can score this Kids Playhouse Tent for just $35.92 down from $99.95 PLUS FREE shipping! 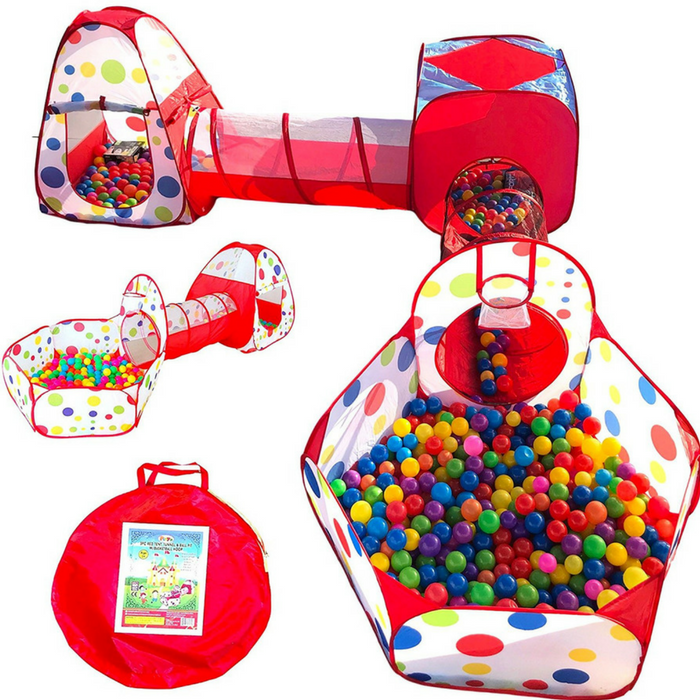 Let your baby’s imagination run wild with this perfect 3pc adventure play tent set. They will occupy themselves for hours at a time jumping, crawling, & playing hide-and-seek while creating memories that you will cherish forever. Makes a great gift! BABY APPROVED – Soft fabric & breathable mesh design allows for a safe & environmental friendly playground for the kids. Playz® toys meet & exceed all USA CPSC Toy Safety Guidelines. MULTIPURPOSE – Use it at parties, picnics, backyard BBQs, parks, playgrounds, day care, school, carnivals, sleepovers, or simply keep it in the playroom at home! Great for dogs, cats, and pets as well!